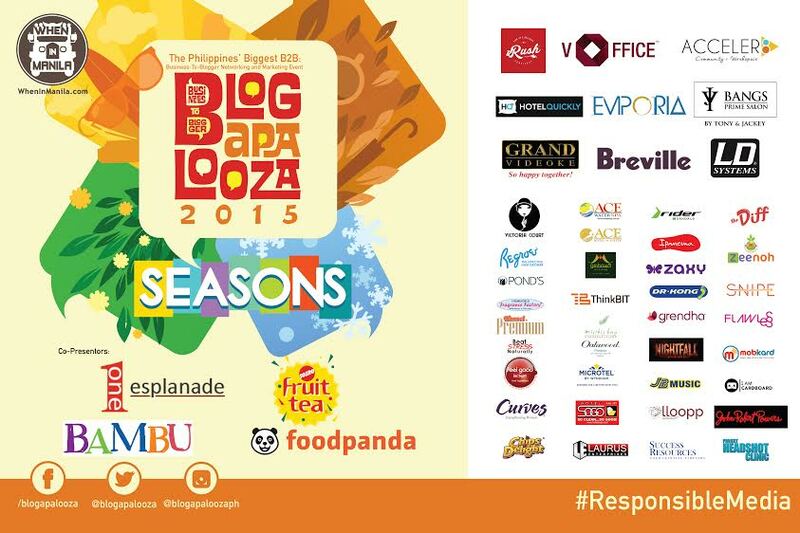 Blogapalooza is the country's premiere event for bloggers. It's an annual convention of bloggers and businesses aimed to establish a sort of blogger to business relationship, a win-win environment for both parties. It also seeks to celebrate the rise of blogging and to promote responsible media. "Blogapalooza started in 2011 with an annual Blogapalooza event that run for a day. It was an invite only event that only Bloggers and Businesses can attend. The rule was simple, Businesses present their products / services and build relationships with the Bloggers, while Bloggers get to see what’s new and network with Businesses to make deals happen." I've always wanted to attend this event for years now but have been too scared to go there alone. I've been an online poltergeist for such a long time, you know. Selling myself never came across my mind until I got curious about how it really feels to be physically available to sponsors. I have also made new blogger friends and I figured I could make more in this event. I'll never really get used to introducing myself as a blogger to people, the way a business person does. Accompanied by a box of personally designed business cards printed by AlphaDigitalPrinting, I finally got the confidence I needed to attend this "Business to Blogger" event. Few things I needed to prepare before I send myself to battle: a handy smart phone with an unlimited one day wifi, an extra bag ready for freebies and strong arms to get me through the day. There's going to be a lot of gimmicks where in order to win something, you have to post something on social media or hurt your arms trying to fan off leaves (Thanks SnipePH). So gotta be ready for that as well. Without further ado, here's a Blogapalooza experience straight from a newbie's point of view.